A belly bulge is not only unappealing but can be a predictor of type 2 diabetes, certain cancers, heart disease & insulin resistance. 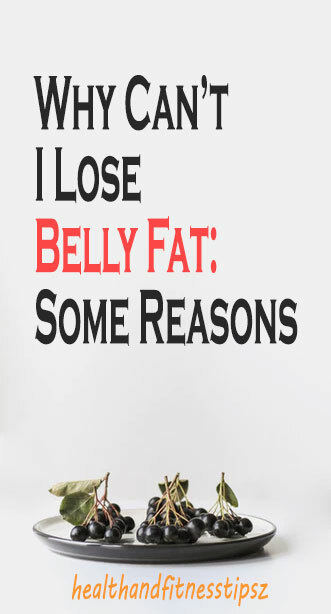 This is especially true about visceral fat, which is the type, that envelopes your organs and causing a beer gut. 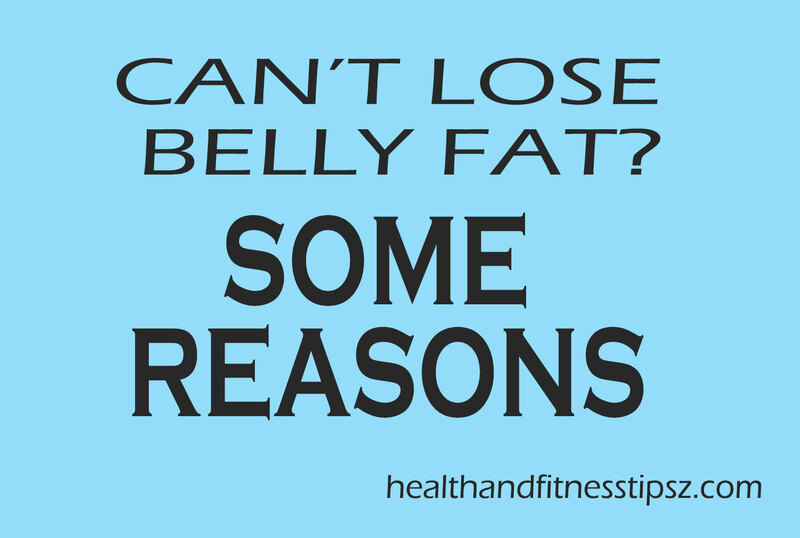 However, if an exercise regimen combined with a healthy diet were unsuccessful to lose your pouch, there are other reasons to answer your question why can’t I lose belly fat. Aging can play a role in gaining belly fat. Both genders experience changes in their bodies, whilst their metabolic rate is decreasing. Your body needs lesser calories to function. When women gain some weight after their menopause it usually settles in their bellies, as estrogen & progesterone levels decline too. Are you consuming too much-processed foods? Eating crackers, chips, white bread & refined sugars within desserts and sweetened drinks lead to inflammation which is associated with belly fat. If you are apple shaped you will gain weight around the waist instead of the thighs & hips. This shape is hereditary and you will have more difficulty to get rid of belly fat. Is your workout suitable? Cardio workouts are good for the heart, but a combination of cardiovascular training and weights will be more beneficial. Muscle mass is enhanced by strength training, which will burn more calories. Too little sleep can be a culprit too and it is advisable to sleep at least 7 hours a night. The research found that women who slept 5-hours or less are 30% more prone to gain weight compared to those sleeping 7 hours. Possibly you are consuming the wrong type of fats, whilst your workout is not demanding enough or you are doing the wrong exercises. You will be losing more belly fat with a high-intensity exercise plan than a low-intensity regimen. Stress may be responsible too. Cortisol, the stress hormone is associated with more visceral fat. Is your motivation up to par? To decrease belly fat you will need a combined diet with a low-calorie intake, low in carbs & sugar, but high in fiber together with weight & cardiovascular training. Try this approach and commit yourself to pass even genetics and get an answer to your question why can’t I lose belly fat!